Facebook intends to acquire virtual reality hardware company Oculus VR for $2 billion, a price that consists of approximately $1.6 billion in stock and $400 million in cash, it said in a press statement Tuesday. Oculus made a big splash two years ago when it launched a blockbuster Kickstarter campaign to fund its first product, the Rift. Since then, the company has been actively selling Developer Kits (though no consumer model has made it to market), and grabbing attention at tech trade shows — particularly with its latest product, Crystal Cove. Oculus has also managed to attract big names — including idSoftware founder and gaming icon John Carmack — and money, most recently in a $75 million round led by Andreessen Horowitz. During a conference call Tuesday afternoon, Zuckerberg said that purchasing Oculus means Facebook has now made an “ambitious, long-term bet” on each of its three long-term goals: connecting everyone, understanding the world and building the knowledge economy. He named Internet.org and Facebook’s artificial intelligence research group as the other two bets. Zuckerberg said that he sees Oculus as an opportunity to move beyond the console and toward ubiquitous computing. He doesn’t expect Facebook to make money off of selling Oculus hardware; instead, it might become a ubiquitous world for communication that might contain advertising. In the near future, he said the goal is to build out Oculus and make its platform affordable and ubiquitous. He declined to comment on when a consumer model of the Rift will be released. He described Oculus as a “rare” company that has a lead on the rest of the virtual reality industry, which is only just now becoming possible because of the technology available from mobile phones. Zuckerberg’s Facebook status update about the acquisition provided a little more color about the company’s intentions with Oculus, particularly in expanding it beyond gaming. “Imagine enjoying a court side seat at a game, studying in a classroom of students and teachers all over the world or consulting with a doctor face-to-face — just by putting on goggles in your home,” he explained. The transaction is expected to close in the second quarter of 2014. 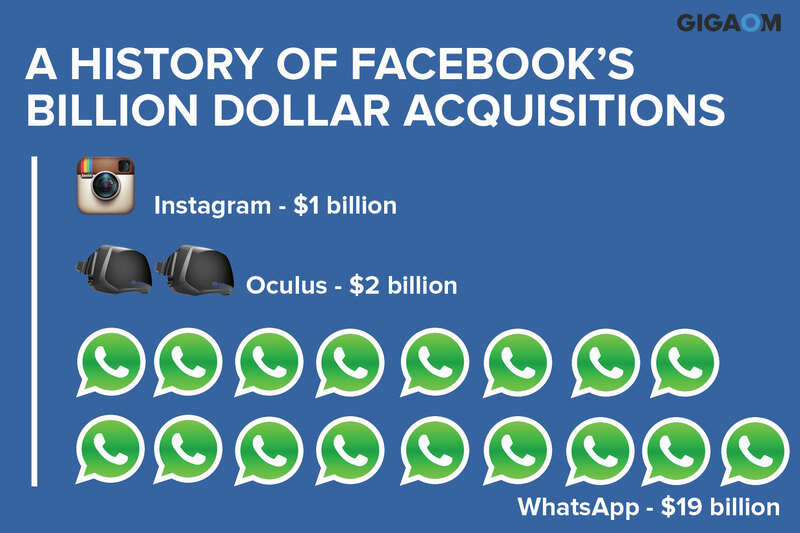 The deal comes a month after Facebook acquired mobile messaging app WhatsApp for $16 billion.